As a YEBW Educator, you have an opportunity to mentor youth and make a meaningful impact on students across Oregon. YEBW is designed to help students grow personally and professionally. Don't be surprised if you also walk away from the week feeling uplifted, inspired and re-ignited. At YEBW, it’s all about experiential education... Students learn by doing. YEBW is known to be fun, fast-paced and interactive. Elevated programs Marketing Week, Finance Week and Entrepreneur Week are offered to returning YEBW students only; not only do these motivated young people have a spark for business, they’re considering marketing, finance or entrepreneurship as possible career paths and need coaches to help them realize their ambitions. Quality matters. That’s where you come in. Educators are key to the success of our sessions. Can you deliver content in a way that is engaging and easy to digest? Can you get students up and out of their seats? Can you turn a lesson into an interactive activity? Can you retain students’ attention and find ways to ensure full participation? Use your passion for teaching to help students discover possible career paths in marketing, finance and entrepreneurship! At Marketing Week, coach teams on how to identify their end customer and the right value proposition, then develop strategy around the Ps of Marketing. 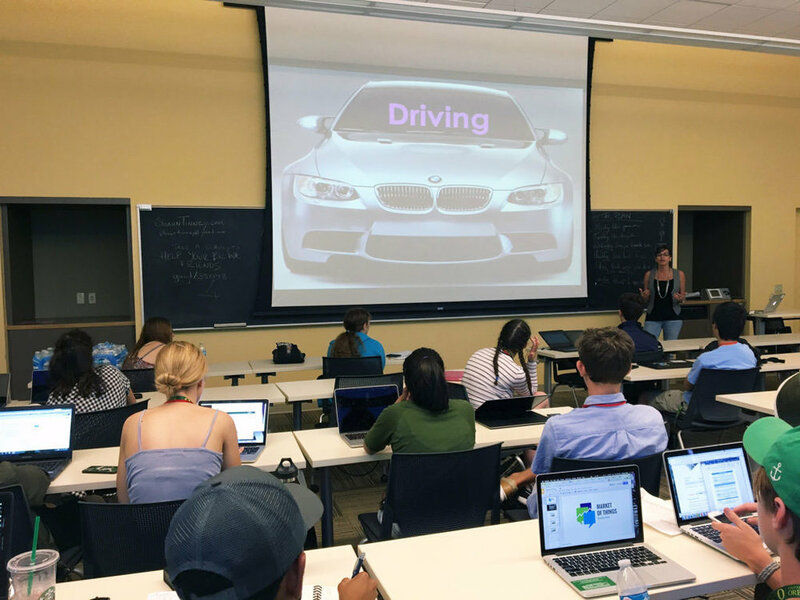 Students assess real-world marketing approaches and engage in a business strategy competition to find YEBW’s top marketers. 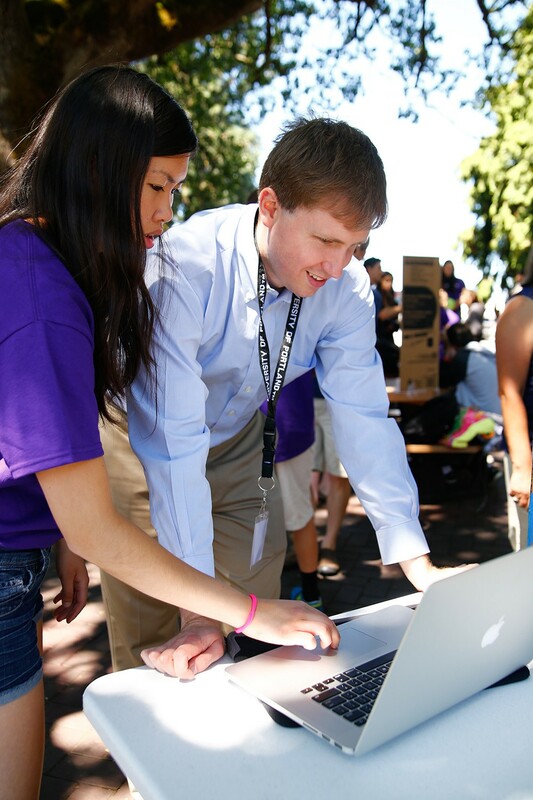 At Finance Week, challenge students as they learn how to make good financial decisions. Students analyze financial statements and use budgeting techniques common to both the personal and professional worlds. Students evaluate public companies, finance a new product, and create a personal financial plan. At Entrepreneur Week, guide individual students as they build their own business plan concepts and pitches. Students explore ideation, market strategies, financials and more as the week culminates to a high-stakes Shark Tank-style pitch competition. Enter educators! You’re key role models and masters at commanding a room. As a team, Advisors and Educators propel students to conquer compelling challenges and reach their achievements in only seven days! YEBW Advisors are entrepreneurs, executives, senior-level managers or small business owners who bring real-world professional insight to the table. Educators are typically teachers and professors who are skilled at engaging youth and excited about experiential learning. This role is ideal for professionals who possess strong leadership, communication and team-building skills. Beyond business savvy, YEBW values enthusiasm, discretion, patience, compassion and an inclusive disposition. One week with YEBW will change your life... With our 7-day program and 1-day training, being a YEBW Educator is an 8-day commitment. Experience YEBW for one full week, from Saturday to Saturday. Stay in campus dorms at the university of your choice; room and board is covered by YEBW. Training includes an introduction to the experience and curriculum. Serving as a YEBW Educator is a rewarding, one-of-a-kind professional development opportunity... To ensure students have a positive experience, YEBW is selective; candidates must apply, interview and consent to a background check before their program week. Please contact Kyle Kavas to learn more about the YEBW Educator opportunity.